Coreopsis are a member of the daisy family. There are tons of varieites which can be either perennial or annual. Generally these sprightly young fillies are yellow but pinks and maroons seem to turn up from time to time. They are a synch to grow and therefore a ‘must have’ for the beginner or the lazy old toad…or even if you have boots in both camps. Make sure you have prepared your flower bed well, leaving a fine tilth on top and plenty of lose earth under it. She survives well in any soil as long as it is free draining. First you must wait until the frosts have frolocked away to Scotland. Plant seeds about an 1/8th of an inch deep and water a little every day until seedlings emerge and then reduce the watering to twice a week. We don’t feed ours as they seem to well in a lean soil but I know some people do…but then some people wear ‘his and her’ tracksuits…the choice is yours. 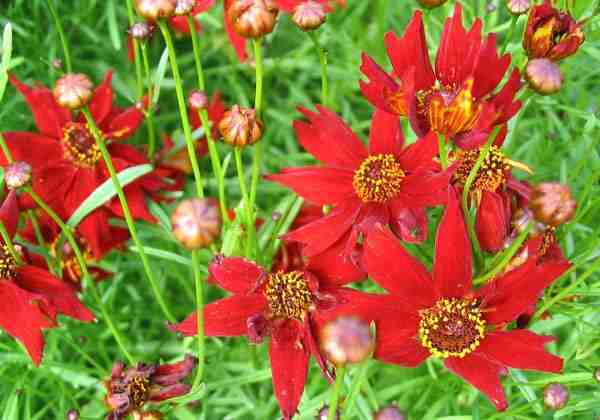 Too many ferts will cause the plant to produce lashings of greenery and little in the way of flowers. 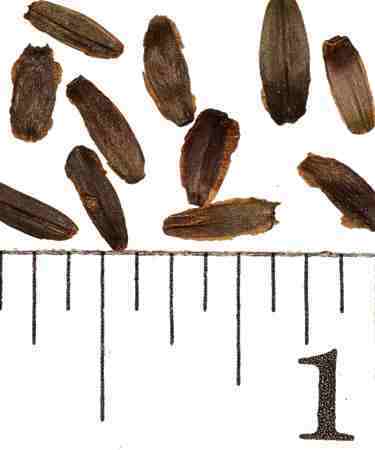 Where can I find Coreopsis seeds? Let us know if you plant any this year and how you get on…I’m wondering if Jan from JW Blooms plants them in her garden? If you would like updates on our top tips on flower growing for absolutely no cost whatsoever and a chance to win a wild dolphin to call your own (Disclaimer…er…that’s not true) then clickerty click on the orange button at the top of the page. Your fab flower series is making me face the fact – I do not have enough space in my flower beds to grow the cut flowers I want to – arrrrgh! Since when did bits of old field and verge suddenly look like my idea of the perfect aquisition!! I wouldn’t say I grew them as such – I have one plant which I, well, tolerate is probably the best word. 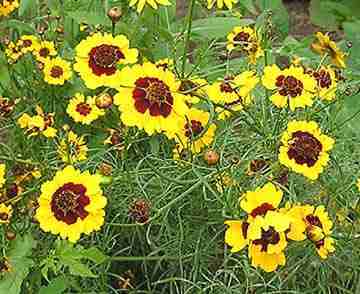 I don’t like them much – that yellow and brown combo is a bit too Abigail’s Party for me. Mind you, I quite like the red one in your picture. Maybe I should broaden my mind a bit. That is ssssssssssoooooooooo funny!!!! ‘Abigail’s Party’ HAAAAA! …I happen to think the ‘Abigail’s party’ style is a good one…stop being so contemporary young lady!